The delicate and complex nature of the nasal scaffolding makes cosmetic and reconstructive surgery of the nose incredibly challenging. The nose is comprised of tiny bones and cartilage structures; when rhinoplasty results are flawed, or a reshaped nose becomes damaged, proper surgical revision requires a focused skill set that only a small number of plastic surgeons possess. Our Kansas City facial plastic and reconstructive surgeons, J. David Kriet, MD and Clinton D. Humphrey, MD, have specialized training and extensive experience in both revision rhinoplasty and nasal reconstruction techniques. Their advanced skill and expertise make them uniquely qualified to accurately evaluate problematic rhinoplasty results, develop customized surgical strategies, and perform corrective rhinoplasty procedures with precision. Revision rhinoplasty is a procedure designed to improve upon or correct the results of a previous nose surgery. This surgery is often pursued to refine the aesthetic results of an initial rhinoplasty, or repair difficulties in breathing function that were not addressed with the primary surgery. Since the bones and cartilage of the nose have already been operated on, additional scar tissue is often present that can make the procedure technically demanding. For this reason it is important that a surgeon who is well-versed in the complex nasal framework perform revision rhinoplasty. With the right facial surgeon, revision rhinoplasty can achieve cosmetic and functional goals that may not have been fulfilled with an original rhinoplasty. If there are any cosmetic, structural, or functional aspects of your nose that you would like to change from a prior rhinoplasty procedure, we encourage you to schedule a consultation with one of our surgeons to explore your options for successful revision. How Long Should I Wait Before Pursuing Revision Rhinoplasty? Drs. Kriet and Humphrey recommend waiting at least 10 to 12 months after a previous nose surgery before considering revision rhinoplasty. This can allow swelling to fully resolve and reveal the final outcome of your initial surgery. If you are still dissatisfied with the results after this waiting period, our plastic surgeons would be happy to examine your nasal structures during a consultation to determine whether revision rhinoplasty is the best treatment for your concerns. The exact details of your revision rhinoplasty surgery will vary depending on the nature of the adjustments being made to your nose. In some cases, cartilage grafting from either your rib or ear may be necessary to rebuild certain nasal structures. In all cases, Dr. Kriet or Dr. Humphrey utilize surgical methods and techniques designed to deliver an optimal outcome. Compared to primary rhinoplasty surgeries, revision rhinoplasties take a longer time due to the complexity of the procedure; however, both are usually performed as outpatient procedures under general anesthesia. The precise length of your recovery is typically determined by the extent of your surgery, though most patients return to work and regular activities within one to two weeks of their procedure. Swelling and bruising will also dissipate during this time; however, minor swelling can, in some cases, last for up to a year. Patients who seek the expertise of our facial plastic surgeons for revision rhinoplasty are pleased to have chosen Dr. Kriet or Dr. Humphrey to perform their procedure. If you are considering revision rhinoplasty and would like to learn more about the results you may be able to achieve, we invite you to schedule a consultation. At this time, you can talk at length with one of our surgeons about correcting your nose. Due to the degree of complexity required with revision rhinoplasty, Dr. Kriet and Dr. Humphrey recommend patients take their time researching potential facial plastic surgeons for their procedure. During this process, they advise patients against selecting a surgeon based on cost alone and, instead, find a board-certified facial plastic surgeon who is experienced in revision rhinoplasty. Choosing the best facial plastic surgeon for your procedure should be a top priority, as this can significantly impact your satisfaction with the results. In addition to looking at the credentials of the plastic surgeon, Dr. Kriet and Dr. Humphrey also recommend reading patient reviews and viewing before-and-after photos to help you make a well-informed decision. Although an experienced surgeon with an artistic eye may cost slightly more, choosing a highly qualified surgeon can better help you achieve your desired outcome, potentially preventing the need for additional procedures in the future. When you consult with Dr. Kriet or Dr. Humphrey for revision rhinoplasty, they will perform a physical examination and discuss your cosmetic goals. 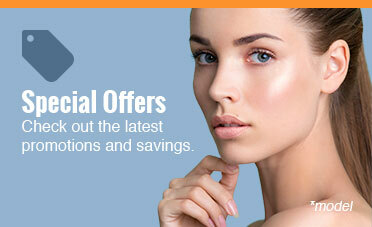 At this time, they will be able to provide you with a more accurate price quote for your revision rhinoplasty. As mentioned previously, there are unique difficulties involved with performing revision rhinoplasty that may not be present with other surgeries, such as the challenge of working with bones, cartilage, and tissue that have already been operated on. For this reason, you’ll want to select a board-certified facial plastic surgeon who focuses exclusively on cosmetic and reconstructive surgery of the face. While many general cosmetic surgeons offer revision rhinoplasty, a facial plastic surgeon typically has a more nuanced understanding of the anatomy and framework of the nose. This can give you the confidence of knowing you are under the care of a surgeon with specialized experience in facial plastic surgery. Familiarize yourself with a prospective surgeon’s past work by reviewing their patient gallery. Look through before-and-after photos from the rhinoplasty procedure and assess whether the outcomes achieved align with the natural-looking results you desire. If a surgeon’s featured cases correlate with your aesthetic goals, it can be an indication that they are well-equipped to perform your revision rhinoplasty. 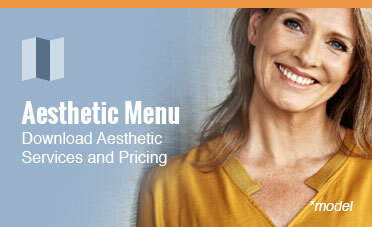 Choose a facial plastic surgeon who performs rhinoplasty, both primary and revision, frequently. Dr. Kriet and Dr. Humphrey perform the most rhinoplasty procedures in the Greater Kansas City area and the state of Kansas. Patient reviews can not only give you an idea of a doctor’s reputation, but they can also demonstrate a plastic surgeon’s ability to achieve high levels of patient satisfaction. Available for perusal through many platforms, including Facebook and Google, online patient reviews can be a great way to gain insight into the care provided by a given surgeon and plastic surgery practice as a whole. Most importantly, it is essential that you feel a sense of trust and confidence in a prospective surgeon’s ability to achieve your desired results. Schedule a consultation with someone who meets your criteria to discuss the concerns from your initial nose surgery, and determine whether the rapport established allows for open communication and a mutual understanding of your goals for revision rhinoplasty. Please contact our practice to schedule a consultation for revision rhinoplasty with Dr. Kriet or Dr. Humphrey.